Jade Forest Kung Fu/ Tai Chi/ Internal Arts is the South Shore's finest martial arts training facility. 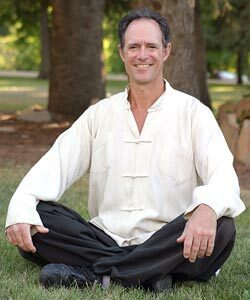 Sifu John C. Loupos founded Jade Forest as an autonomous entity in 1995 after having taught in affiliation with other teachers and organizations since 1968. Sifu John Loupos is now offering live online instruction in Kung Fu, Tai Chi, & qigong via Skype and FaceTime. Students from around the world have been availing themselves of this convenient feature. Online lessons can be structured in increments of 30, 45, or 60 minutes. Please contact Sifu John directly to discuss how this feature can help you realize your full potential. Jade Forest is now carrying ASTAXANTHOL (pronounced asta-zan'-thol) a uniquely designed, nutriceutical formulation that is an extremely potent, highly bio-available, broad spectrum, anti-inflammatory complex that provides significant, anti-aging protection for the brain, eyes, heart, blood vessels, joints, skin, and all cells, tissues and organs from injury by free radical-induced oxidative stress, esp. that produced by toxic chemicals, and ultraviolet (UV) solar radiation. Sifu John Loupos' latest book, "The Sustainable You - Somatics and the Myth of Aging" is now available for purchase. Order your copy today!